Many people want to steer clear of chlorine as it can be a skin or eye irritant. Add that it’s also hazardous to handle and store, and it makes sense to examine alternative options. 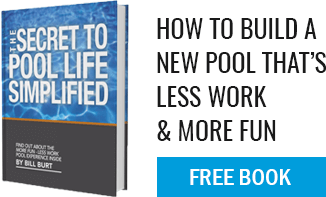 The biggest competitor to a chlorine pool is a salt water pool. Read on to explore whether this option might be better suited to your needs. Salt water pools contain about one-tenth the salinity in comparison to seawater and they aren’t 100 percent chlorine free. In fact, they use a process called electrolysis to create chlorine, which in turn, disinfects your pool water. The main piece of equipment in this type of pool is a salt chlorine generator. The generator breaks dissolved salt into two sanitizing agents: hypochlorous acid and sodium hypochlorite. Solar salt - This type of salt is derived from seawater and may contain impurities. Mechanically evaporated salt - This type of salt is also derived from seawater but is made through a process that involves heat evaporation that removes any organic matter or impurities. Mined salt - Mined salt is considered to be the purest available form of salt and is dug from the ground. Talk to the pool professionals and get a salt that is produced for swimming pools. First, the main benefits of a salt water pool is that it contains lower chlorine levels which can be gentler on the skin. Because the salt water system produces chlorine on an as-needed basis, less maintenance may be required to maintain a safe and clean pool. The drawback of this type of system is that it can be more of an upfront investment. Another negative is that salt can be abrasive and cause damage to equipment if you don’t know how to properly care for your pool. Talk to our professional staff about what pool setup is ideal for your needs. We are always here to help with anything pool-related!